Just look at this fabulous flyer!! 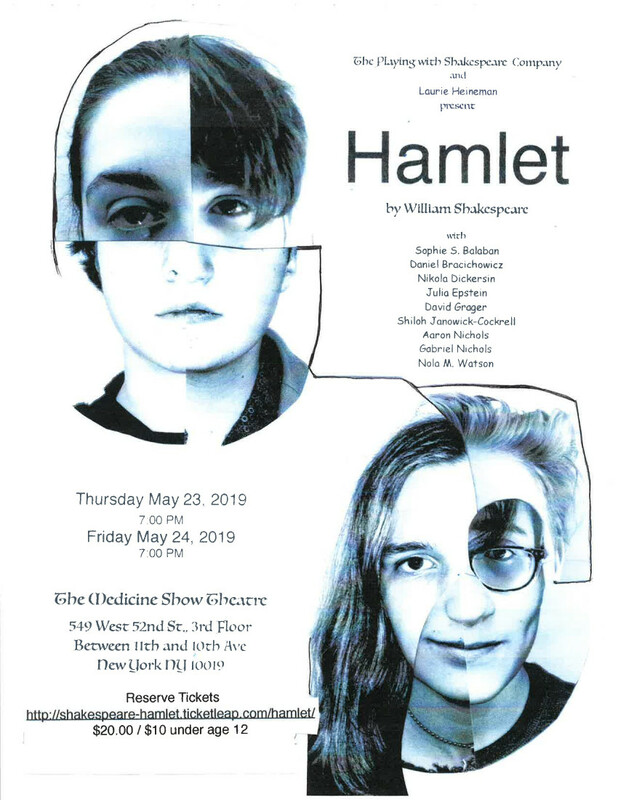 We hope you can make it to Playing with Shakespeare’s performances of Hamlet, on May 23rd or May 24th! Hello, friends! Please remember that there are no classes at Different Directions this week. We follow the public school calendar, so this week (Feb 18-22) is winter break. DD Featured in Mommy Poppins! Hello friends, December is here and the end of our fall term is near. 2018 will melt into 2019 in a few weeks and we will all be bundled in our winter gear rambling to our classes around the city. Thank you for a fantastic fall term. 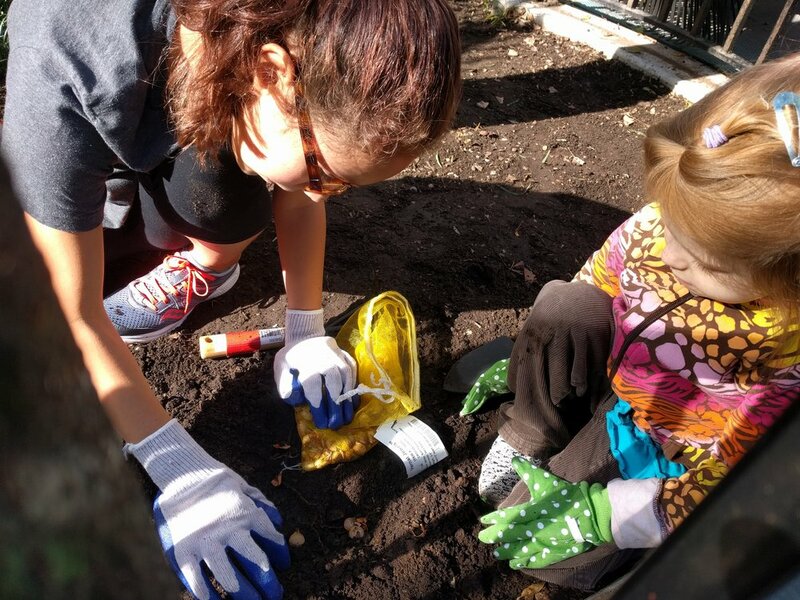 In the past few months we have packed in 32 classes a week, 6 lunch hours and 6 recesses per week, two Halloween parties, two movie nights, two park clean up days, a fall festival, three Fearless Homeschooling workshops and a rummage sale (for our EPC students). Our 2018/19 production of The Mystery of the Missing Page is well under way. I am so proud of my Acting Out students; their dedication to our process is inspiring. They have created a great story and the music is going to be even more spectacular than last year’s Into Oz music. In the past weeks, some of the experiences students here at Different Directions have participated in are: exploring Africa (reading about two brave children in Apartheid South Africa), discussing ancient philosophers, analyzing and performing Hamlet, extracting iron from cereal, removing chlorophyll from spinach and studying plant pigments, traveling through time to join a debate between an American Colonial Patriot and a British Lord, learning about the technological advancements of transportation since the invention of the wheel. There have been hours of fun in the sun, some scraped knees and patched prides and so much laughter and living. A couple of weeks ago, I was sitting in my cubby, researching Ancient African Civilizations and listening in on one of my favorite classes. I heard the teacher say he read that the average American child gets 3 minutes of time outside per day. The students in his class all started stating the various activities they do outside. He chuckled and said, “my friends you are anything but average.” I smiled, and thought, beautifully said. Not long after, a young friend of mine visited Different Directions for a day of Monday classes and a teacher asked him, “so how is Different Directions different than school?” My young friend said, “well you spend so much time outside playing.” Many years ago when Loribeth, Brandon and I were creating the first of the marathon Wednesday class schedules we agreed that the children needed time to play outside, eat good food, and rest. We said that between every class there would be a significant break for the children to reset. I thought, “yes but how do we pay the rent.” Another parent said, “you charge for it.” In that moment the lunch and recess program was born. Who says we are too big to swing?! Over the years, the lunch and recess program has become an entity of its own; we now have people who come only for lunch. It is a time for community building, creating new worlds and going on grand adventures, bonding, exercising and socializing. I actually use it on my IHIP as part of our physical health program. I know for one hour, four days a week Lottie will be running around the playground with her friends. The lunch program has also become a key fundraiser for Different Directions. The class contributions alone do not cover our yearly rent at the temple. Without the lunch and recess funds we would not be able to afford the beautiful space we have come to love here, on edge of Times Square close to hub of the NYC transportation system. It is amazing how a conversation over coffee can change the direction of so many people. Please join us for our holiday party! What is the chair doing on the table? Don’t worry — it’s science class. If you have not contacted your teachers confirming your return for the winter term, please feel free to reach out as soon as possible. Teachers will be sending emails but the end of term projects and activities come fast and furious so some of us maybe be behind in our communications. Students, parents, and teachers: our website coordinator Meredith needs your help! photos from any classes that you or your child attends — or that you could arrange with the teacher to visit (at this point Meredith is only able to take photos of her own Our Place in Time class on Tuesdays and Tinamarie's Stories class on Fridays). If you are interested in becoming a DD journalist, please contact Meredith at DifferentDirectionsOnline@gmail.com. We can work together to make this happen!